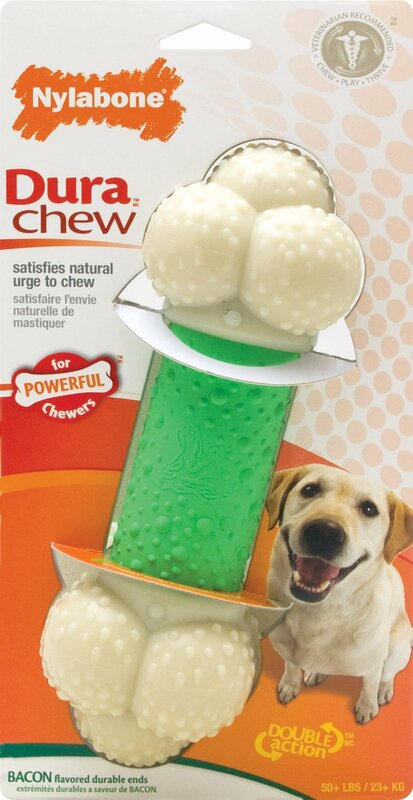 A product designed for powerful chewers. The durable ends of the Nylabone Double Action dog chew are made of Nylon impregnated with a tantalising aroma of bacon. The rubber centre is minty fresh. Dental nubs help control tartar during chewing. 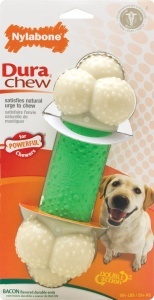 Bought for 2 labradors who chew heavily. Often found to be chewing an end each. Does get teeth marked but no bits break off. Dogs love it.